This week we are going to shake things up a little. In the wake of Khans spoilers and impending rotation there have been a lot more cards losing value than gaining value. This week we will have 5 Big Winners and 10 Big Losers. Leyline of Sanctity is a sideboard all star. It can protect you from burn and many types of combos. The best part is that you can begin the game with it on the battlefield without even paying mana. It blanks Thoughtseize, Cabal Therapy, Lava Spike, Grindstone and much more. It is used in RG Tron, Amulet of Vigor, Ad Nauseam, Bogles and UR Tron sideboards. Legacy uses it in OmniTell and even Manaless Dredge. This card will only continue to increase in price until it is reprinted. My best guess for that would be either Modern Masters 2 or the final core set. The pieces are not of her combo deck are not new or expensive. The entire deck can be put together for under $10 which is part of its charm. She has been losing momentum. She was recently a bulk rare but it looks like she may only make it to $4 to $5 dollars. You can still buy her for as little as $2.00 and sell her for as much as $2.23. Doubling Cube has only been printed twice. The first time was in Fifth Dawn and them again in 10th Edition. It is a fun inclusion in Commander decks that are looking to ramp for huge amounts of mana. It is a very nice inclusion in a Kruphix, God of Horizons deck. Speaking of the God of Horizons you can buy him for $2.49 and sell him for $2.80. His price tag is just simply too low for a mythic rare god in a set that was so sparsely opened. It can also work well in conjunction with sources that produce more than one mana at a time like Nykthos. It is a unique and powerful effect. It has spent a long time bouncing between $5 and $6. It looks like it has broken its ceiling and I could see it finally getting to $10 which will be the new value. What can be said about Goblin Guide that has not been written dozens of times before? It is one of the most powerful one drops in Modern and Legacy burn and aggro decks. Zoo wants it. Red deck wins wants it. This price increase is the result of building demand rather than hype. It has been quietly shocking players every turn for years and has more than earned its new price. There are still opportunities to profit from the sudden increase. You can still buy them for as little as $20.00 and sell them for as much as $22.22. I would target the premier versions and wait for the price to adjust on them as well. Unlike Kruphix, Keranos has been taking metagames by storm. He is going to be played in standard Temur (RUG) and Jeskai (UWR) decks. 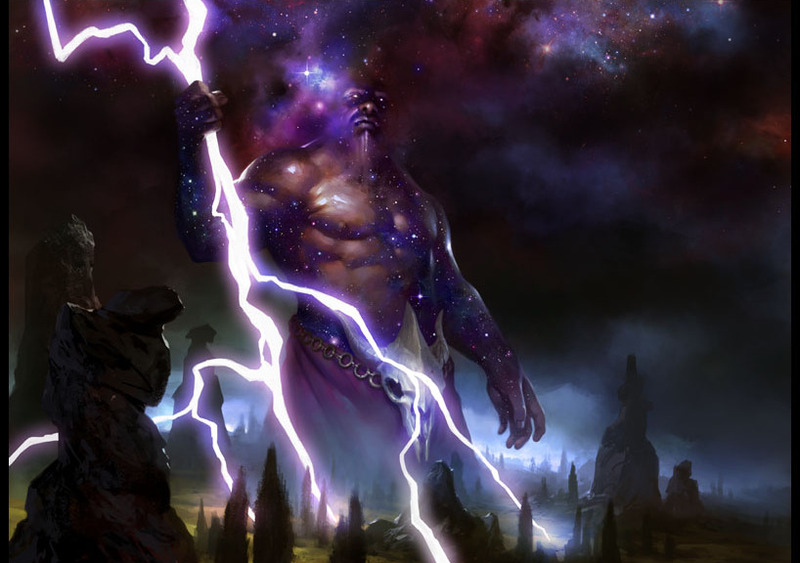 Free card draw and Lightning Bolts are powerful even if you never make him a creature. He is already making his way into Modern Splinter Twin, Jeskai Control and Temur Delver decks. A lot of players are toying with them in the sideboard and some are already moving them main deck. Legacy decks are running him in Jeskai Miracles. This is to say nothing of commander and even some vintage play. He is the a mythic rare from a third set that was barely opened before Conspiracy took over the drafting tables. I had an arbitrage opportunity for you but it dried up in the time it took me to write this article. There are still a few $10 copies out there but I would hurry to get those as well. I think he will see $20 soon. Glen Elendra Archmage was reprinted in Modern Masters. It is used in modern Kiki Pod and UB Faeries as repeatable permission on an evasive threat or chump blocker that comes back asking for more. It has even found its way into a Vintage Sultai (BUG) Survival Madness deck. It is trying to recover from the reprint but it may take a bit longer to gain any appreciable traction. This is a good long term hold but if you are looking for quick profits I would look elsewhere. Speaking of good speculation opportunities here is a role player in Modern and Legacy Death and Taxes, Zoo and Hatebears. She is a powerful aggressive creature and can keep control players a turn behind for as long as she is alive. She has recently $9 and I think she can go even higher. I would gladly trade for as many copies of her as I could find for under $5. The other part of the Maralen combo deck and the namesake card for Modern Ad Nauseam and Legacy ANT and TES decks. It is a draw card unlike any other. It can enable you to draw your entire deck in one fell swoop but requires very strict deck building limitations. It was a bulk rare until earlier this year when everyone collectively took notice of its place in metagame. It needs to prove itself. The deck can be finicky and difficult to play. I love crazy combo decks that come out of nowhere and utilize cards that seem borderline unplayable but I would like to see this dip a little more before reinvesting in it. Try to see if you can get them at $3. Like Ad Nauseam the Amulet came of nowhere and created a combo deck that plays cards you have never worried about before. Hive Mind? Ravnica bouncelands? Unlike Ad Nauseam it does see success from time to time which encourage other players to try out the deck. A Bloom Titan deck made the semi finals in PTQ Khans of Tarkir in Roswell, Georgia on 8/23/2014. I expect you will be seeing more Amulets untapping things soon. Six months ago it was over $10 which makes it a comfortable pick up at $3. The M10 “buddy lands” or “check lands” are undervalued. Any casual or commander deck can utilize these with shocklands which are about as low as you will ever see or fetchlands which are becoming cheaper by the hour. They are usually perfect on any turn except the first. Modern Temur (RUG) Tempo decks have even started using a copy main deck. The M11 copies can be purchased for as little as $0.76 and sold for as much as $0.81. The M13 copies can be bought for $1.00 and sold for $1.01. These margins are not meant to incentivize you to try to pinch pennies on your route to profit but to show that they are actively being bought and sold at the same price. This means they are a minimal risk and easy to liquidate. Any casual player would love to have more copies of these dual lands and any store will probably give you back your money. They are as safe as you can get in modern real estate investments. Choice of Damnation is only ever played in the most cruel control casual or commander decks. There are ways to maximize the value of the card like It That Betrays or Exquisite Blood. It can have a dramatic effect but even if you do run it you will not want many copies. I expect that this will continue to decline in value. Wizards keeps printing more mana sinks and demons that create board presence while antagonizing your opponents. This may make for a hair raising moment or two but it is not worth building your deck around. This johnny card is another one near and dear to my heart. I think the last time I thought about it was when Biovisionary was printed. It is a cute trick but much too situational. There will always be johnnies looking out for the next combo but I would not want to hold onto more than a couple of copies at the most. You can still buy them for as little as $1.75 and sell them for $1.91. Door of Destinies has lots of casual appeal. It is colorless and adapts to the tribe of your choice. Unfortunately all of the M14 copies are getting ready to rotate and so players that have been holding onto copies waiting for slivers or minotaur tribe to become a thing are going to be unloading them. This has led to a slight price disparity. You can buy them for $1.25 and sell them for $1.82. It will never be a bulk rare bue to casual appeal but I think it will go down to $2 after rotation. Sword of Feast and Famine has been reprinted in the Modern Event Deck and so new copies have been entering the market place. This supply shock has depressed the price. I think that this creates an excellent opportunity to purchase some cheap copies. It is used in Modern UB Faeries and can easily find its way into any deck that wants to disrupt hands and keep mana open on their opponents turn. Legacy uses it for Jeskai Delver, Esper Stoneblade and even Bant Delver. It is a popular inclusion in cubes and commander decks. You can even buy them for $12.00 and sell them for $12.40 but I would hold onto them. It is only a matter of time before it gets back to $25 to $30. You knew that this was coming. I have updated this section more than any other throughout the week. Let us take a moment and see how the individual fetches have been affected so far. It is currently used in Legacy ANT, Imperial Painter and Burn decks. It is used in Shardless Sultai, Sultai Delver, Temur Delver, 4 Color Delver and Esper Stoneblade. It is used in Legacy Elves, Maverick, Zoo and Nic Fit. It is used in Legacy Elves, Temur Delver, Imperial Painter, Nic Fit and Zoo. It is in Legacy Jeskai Miracles, Temur Delver, OmniTell and Esper Stoneblade. The reprinting of the ally instead of the enemy fetchlands opens up several interesting questions. You can and should read Travis’ article about it in depth here but I will add a few thoughts. The ally fetchlands only appeal to one wedge each. The enemy fetchlands would have each had two fetchlands that they could use to fix their mana. This could Wizards’ attempt to make sure that the right wedge gets its own mana fixing but who is not first picking a fetchland 90% of the time regardless of what they are playing? The Zendikar fetchlands stand to lose quite a bit from their modern monopoly. Each fetchland can find seven of the ten shocklands. There is no reason to fixate on any one fetchland even if you are running a two color deck. The number of lands that can find your Steam Vents has now gone from three to seven and you will be able to purchase a play set for what a single Scalding Tarn costs. There is no way that the current price can hold. If you are holding onto any fetchlands from either cycle that you are not actively playing with I would dump them as soon as you can.You will be able to purchase them back and them some in a few months. Take a look at what the prices of shocklands or Thoughtseize have done to get a glimpse. There were several arbitrage opportunities for the Onslaught copies but those dried up before I could get this out to you. That is how quick and dramatic this has been. I should also caution that this goes for the normal copies only. Old border foils tend to hold their value better especially when the new artwork is not as nice as the original. I do not know anyone who thought that what Flooded Strand really needed was a dragon carcass taking most of the focus. Standard should be pretty dynamic over the next few months. Anyone who wants to play a wedge will have access to an ally fetchland, two enemy painlands, fetchland, three scrylands and Mana Confluence. You will be able to make your mana do pretty much whatever you want with various tradeoffs between each one.